The European Parliament offers a space for dialogue to politicians with different backgrounds and perspectives. It provides a forum for them to debate constructively their ideas, because they have to work together within a common group. The European Union (EU) consists of different cultures, countries, nations and languages. It is diverse and this diversity reflects the multitude of political systems, working in accordance with their own rules and regulations. France, for instance, is a unitary semi-presidential republic. Indeed, in contrast to a federation pulling together different political units and a federal government coupled with more local governments (like Germany or the United States of America), France has one constitution effective across its entire territory. It is semi-presidential because the President shares her or his power with the Prime Minister. The United Kingdom (UK), in comparison, despite being also a unitary state, is a Constitutional monarchy. Currently, its head of state is Queen Elizabeth II and the country is governed under a body of laws, and not a constitution. To complicate things, the process of devolution gave Scotland its own Parliament, and Northern Ireland and Wales their own Assemblies. Several national political parties, classified according to their positions on economic and social issues, can be gathered in European-wide political groups. Currently and until the next European Parliament election in 2014, nine different political groups are present in the EU Parliament. A strategic choice must be made: national parties must decide whether their elected Members of the European Parliaments (MEPs) should join a European political group in order to gain size, supporters and votes. If they do not, the MEPs fall into the Non-Attached Members, the ninth political group – marginal and therefore often more boisterous. Thus, the Progressive Alliance of Socialists and Democrats group is presently made up of the Party of European Socialists and three unaffiliated national parties. Within the Party of European Socialists, the French Socialist Party and the British Labour Party work together. French culture is famous for its anti-Americanism. The word liberalism in the XIXth century was used to refer to the Orléanist movement wishing for the return of a monarchy after the French Revolution. Given that the 14th July is the French National Day associated with the storming of the Bastille, and consequently the Revolution and the end of the monarchy, it is clear that ‘liberal’ had negative connotations for the majority of the French population. This mind-set surely influenced modern French politics, and it was no surprise when De Gaulle vetoed the entrance of the UK into the EU both in 1963 and 1967, describing the UK as ‘America’s Trojan horse’ and thus hinting atthe indirect entrance of liberal American ideas. Last week, coming back from work, I was reading the Metro in the tube. Non-surprisingly, I stumbled across a Eurosceptic article. It presented the EU project to introduce a tax on financial transactions, and the EU proposal to cap bonuses paid to bankers to 100% of their base salary (or 200% if shareholders approve):the article referred to both as ‘stupid’. On that very same day, a French company moving its headquarters to London did not allow my work division to publish an article on the matter. The former knew that if this information came out publicly, the French media and the majority of the public opinion in France would strongly criticise that move, immediately assuming it must have been motivated by the wish to pay less taxes. Two visions – worlds apart. It has often been repeated that there is no major left-wing party in British politics. On the other hand, despite criticisms from French voters over the centrist or rightist policies the French government has put into place since its election, the French Socialist Party is a left-wing party in the country where education is free. All this gives us insight into why it is hard, at first, to imagine the French Socialist Party and the British Labour Party working together in one group. Yet, the Party of European Socialists is what the European Parliament provides. The European Parliament offers a space for dialogue (as opposed to criticisms and condemnations) to politicians with different backgrounds and perspectives. It provides a forum for them to debate constructively their ideas, because they have to work together within a common group. It is clear that petty criticisms based on the form of the debate rather than its content exist in EU politics.Nevertheless, this happens much less than in national politics, due to the scale of EU politics and its diversity forces for cooperation and discussion. 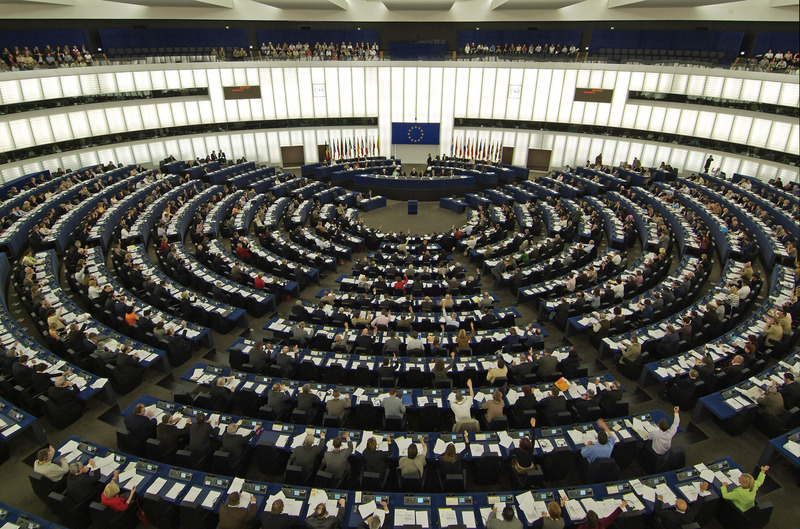 My European Union, through one of its legislative bodies: the European Parliament, theoretically allows 377 MEP, 9 different European-wide groups representing more than 100 national political parties to express themselves and thus as many different inputs and ideas. Paul is from France and graduated in British and American Literatures, Civilisations and Linguistics from the Sorbonne (Paris) spending the last year of his undergraduate diploma in Edinburgh, Scotland. A Euroculture student from September 2011 to July 2013, he studied at the Universities of Strasbourg (France), Udine (Italy) and Pune (India). 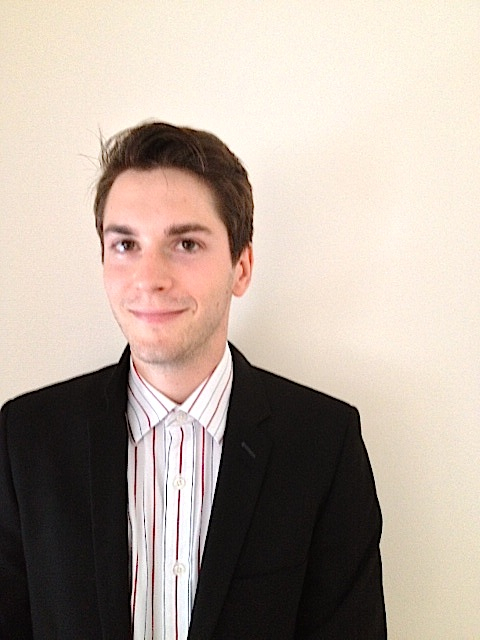 He is curently working at the French Chamber of Commerce in Great Britain as Publications and Communications Assistant. His interests go from EU politics and Franco-British relations to Scottish Civilisation and Gender Studies. Next Feature Interview③: Follow the wave, the OCEANS Network!